Thank you for your interest in Appletree Montessori! We are currently accepting applications for enrollment. All children, regardless of race, color, creed and national or ethnic origin are eligible for enrollment in Appletree Montessori. We enroll children throughout the year on a space available basis. Tour – A tour will give you an opportunity to observe our classrooms, see our facility and have questions answered about our program. Tours are scheduled by appointment through the Admission Office. 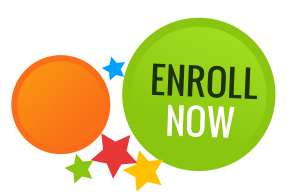 Application – Completion of the Enrollment Application, along with a $100 (non-refundable) Registration Fee, will reserve a place for your child in one of our Montessori Classrooms. Registration Packet – Completion of all forms in the Registration Packet. Fees – Upon entering school the first month’s tuition and a prepaid 2 weeks’ tuition deposit is required. The deposit will be applied to the last month’s tuition after all financial obligations have been met. This deposit amount is adjusted as tuitions change. Required Forms: Prior to the first day of class, the following forms must be filled out and submitted to the school. For further details, don’t hesitate to reach out to our trusted representatives today. Call 408-735-7207 or send a message to info@appletreemontessori.net.